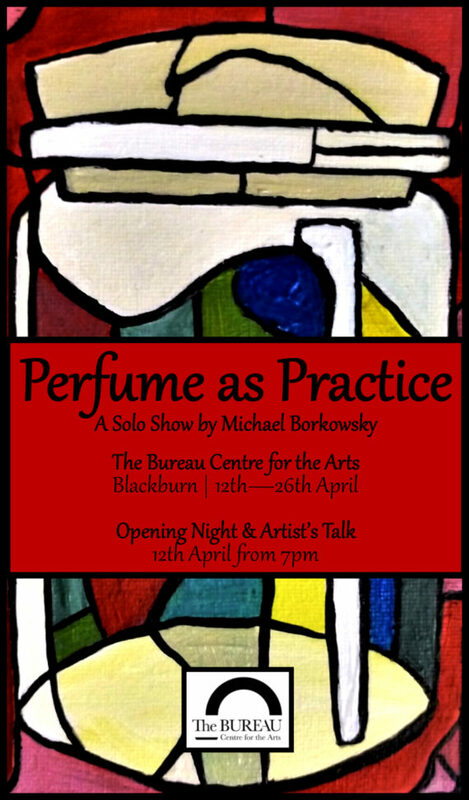 The process of designing and distributing posters for exhibitions – particularly solo shows – does add a certain weight to proceedings; it gives exhibitions a tangibility and reaffirms the fact that I ought to be displaying competent and thoughtful work that highlights the possibilities of perfume while driving my practice in new, unexplored directions. So I find it a pretty useful process in that regard, it places a little more pressure on getting things done – something that I need from time to time. 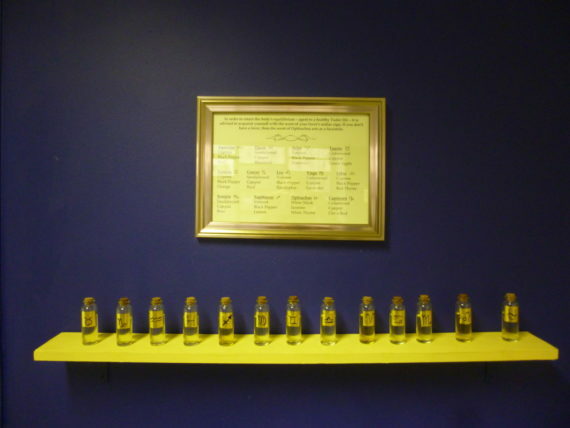 I have all the responses I need to devise 14 perfume portraits for this exhibition. As usual the responses vary widely from each other, So I expect to create a mix of fragrances as eclectic and complex as the individuals they represent. I’m really looking forward to presenting my work to an entirely new audience too. So let’s get making! The reason for choosing a religious context is twofold. Firstly it acts as a response to Bureau’s art space, which was formerly a church. 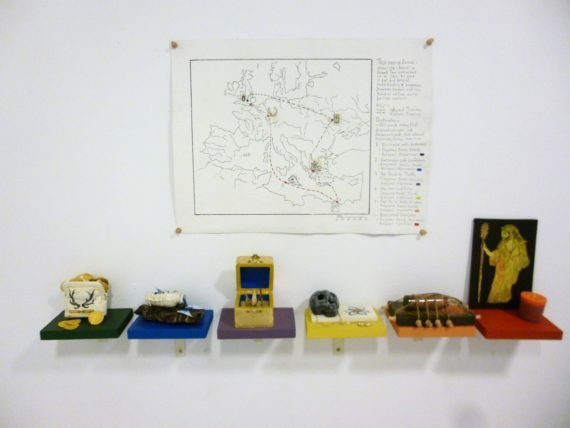 But more pertinently, it will enable me to use the narratives found within religion as a symbolic means of categorising the perfume portraits I make, so that they may form connections with each other. For those not in the know, my perfume portraits are created using an established method that begins by asking artists why they make art, then interpreting the response received in order to arrive at a fragrance that captures the essence of who they are. Often, I find that similarities emerge between artists’ responses. 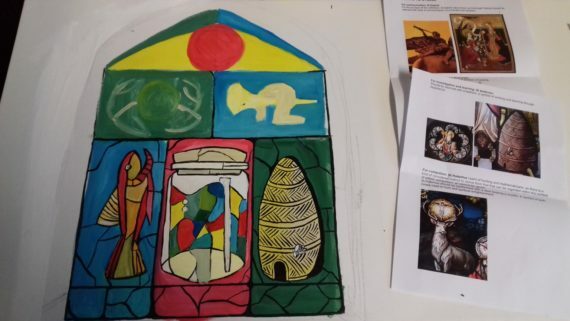 These similarities reveal the factors that drive creative action, and these factors can then be categorised and curated in order to highlight the different forces that initiate creativity and how connections can be established between artists. So, regrading my next solo show which will house religious contexts, I will use Saints as a method of meaningfully symbolising different creative behaviours, desires and motivations found within each perfume portrait. Four saints will be used in total, and will symbolise instinct; communication; healing; and learning. These are all factors found within my perfume portraits, and all drive creativity. If that all sounded a little too complicated, it’s probably best to just experience the exhibition for yourself! It will be on from 12-26th April. Not long now! But these perfumes were far from a commercial cash-in. Instead, my aim was to highlight how fragrance can accommodate narrative and interaction; I encouraged the audience to smell the perfume connected to their lover’s star sign. If they did not have a lover, then the scent of Ophiuchus – a long-regarded ’13th star sign’ – made for a suitable facsimile. There was, however, a twist in the tale. The perfume of Ophiuchus did not actually contain any fragrance; it was merely a jar of almond oil. The moral of the story – rather cloyingly – is that there is no substitute for love. Whether you agree with such a sentiment or not, the fact that fragrance can house a nuanced and multi-faceted story does reveal an alternative perspective for perfume this Valentine’s Day. This week has been one of those weeks. You know, one that has involved a lot of ‘thinking’ and ‘research’ but without any actual making? I have a natural tendency to feel disheartened about such a week; it feels unproductive and lethargic. Yet in reality I think those weeks act as groundwork to actually instigate coherent creative action, and without them your endeavours become rudderless and vague. So I’m sure in hindsight I’ll feel as though the last week has been worthwhile. Anyway, what I have been doing this week is thinking about planets and researching how to translate the mythology found within planets into a fragrant artistic experience. I have three planets to contemplate, and the work produced will form part of an exhibition in Athens in May. Exhibiting internationally gives me a prudent opportunity to instigate a cross cultural examination of how scent and perfume is perceived differently. In this instance, I seek to relate the connotations of planets derived from Greek Mythology to our collective understanding of scent and the affecting qualities of scent upon an audience. It’s no mean feat! 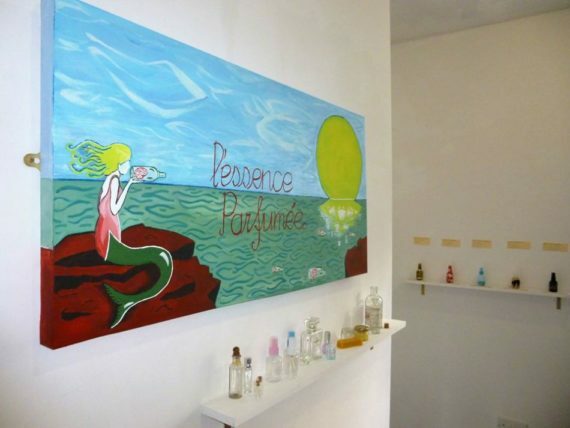 But hopefully success will result in a renewed understanding of the possibilities of fragrance. I’m very much looking forward to another Athens adventure this year. And hopefully for years to come!